Whenever I’m having Italian food, the first thing I’ll look for on the menu is a risotto. That’s because, in my opinion, a risotto done well is the hallmark of a good Italian eatery. As such, I was very eager to visit this hawker stall I found which actually serves risotto. 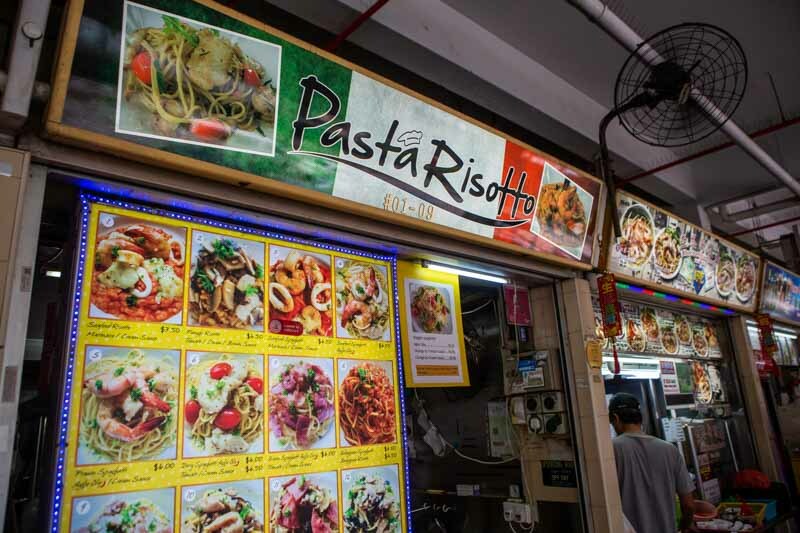 Located amongst the sea of hawker stalls in the ever-crowded Old Airport Road Food Centre, Pasta Risotto serves up affordable Italian dishes. 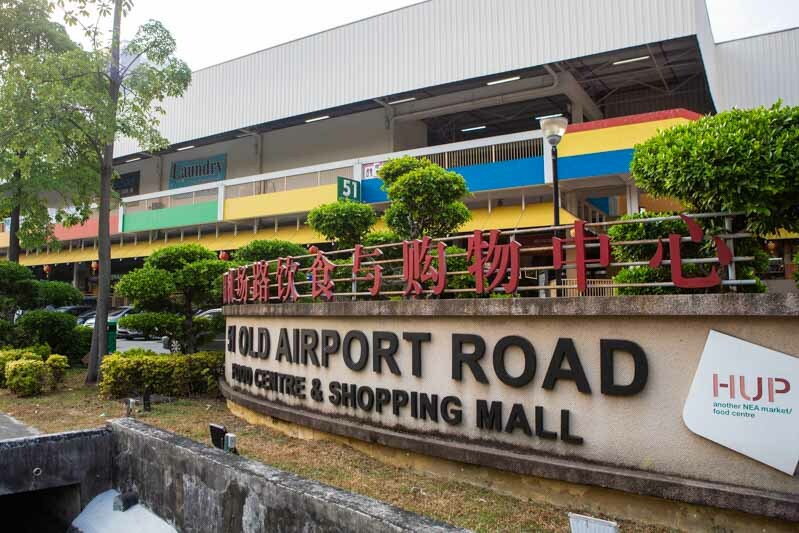 With a name as straightforward as that, it isn’t difficult to deduce what the stall serves. 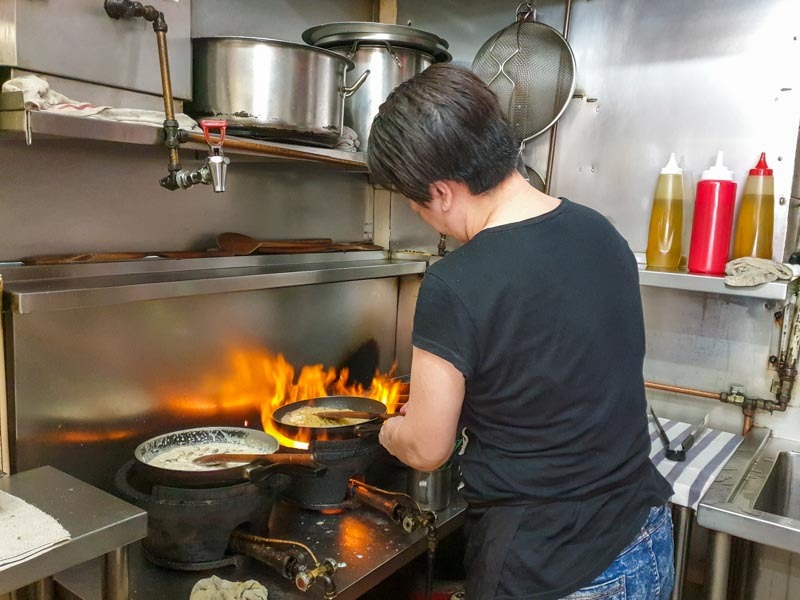 A husband-and-wife duo runs the business which has been around for about five years now. 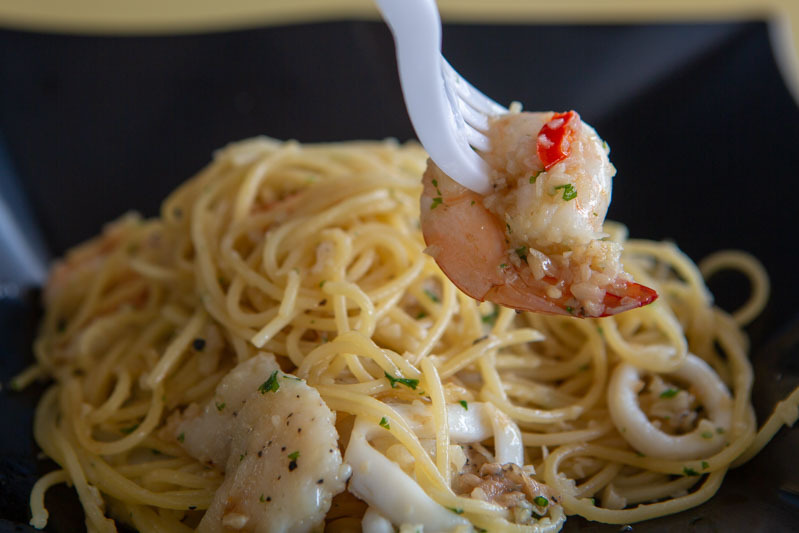 They pride themselves for serving only pasta and, more notably, risotto dishes. 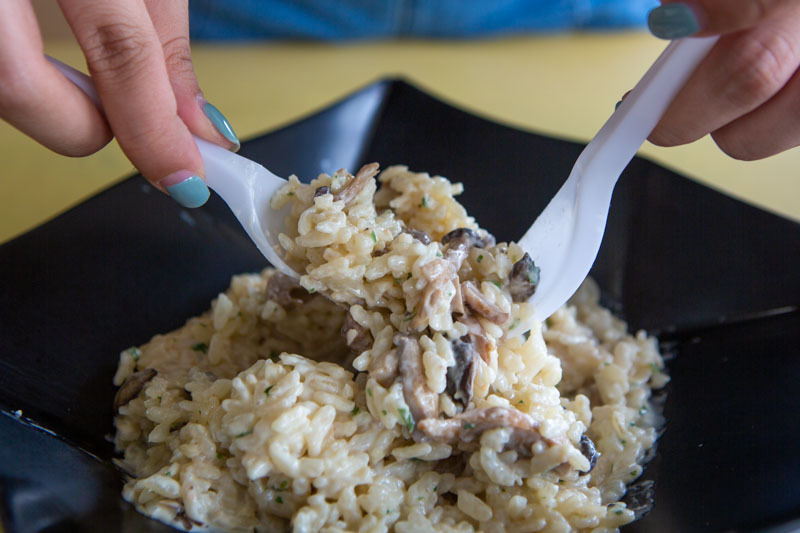 The couple felt that serving risotto would make them stand out since most hawkers don’t usually do so. 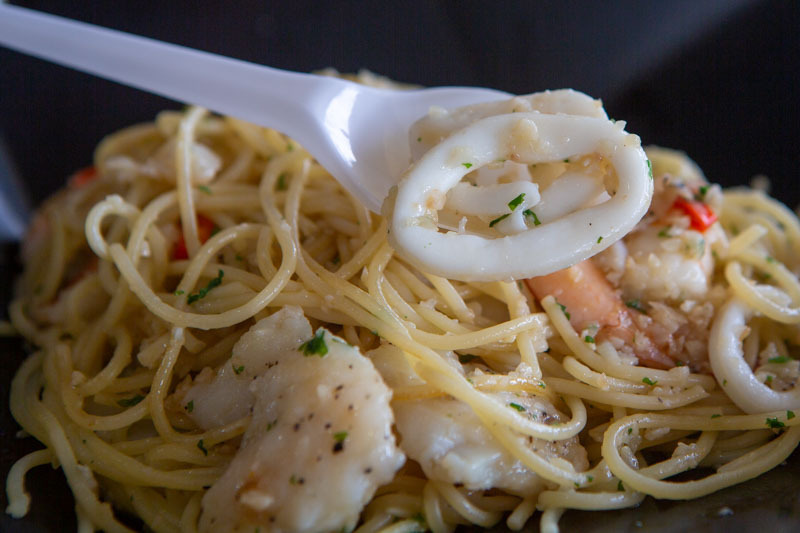 Their goal is to make Italian food affordable for and accessible to the public. With this goal in mind, the owner learnt how to cook Italian dishes from her relative who runs a cafe. 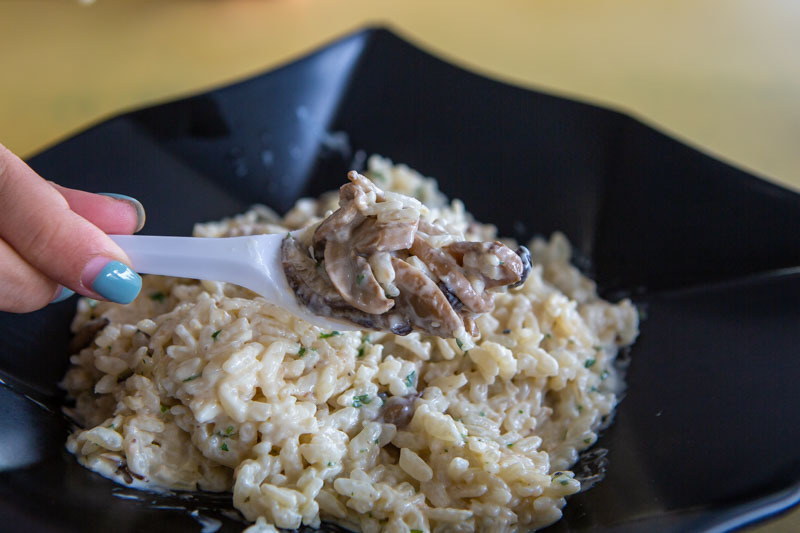 Since the risotto dishes are what Pasta Risotto is popular for, we went for the Funghi Risotto With Cream Sauce (S$6.50). Unfortunately, it fell short of our expectations. To me, the rice is the most important component in any risotto. Overcook it and it’ll be too gooey. On the other hand, if it’s too undercooked, it’ll be crunchy. The rice in ours turned out to be very tough and chewy, which led us to believe that they didn’t cook it long enough. Hopefully it’s a one-off occasion that won’t happen again. Luckily, the cream sauce that they tossed it with managed to salvage the dish a little. Its luscious texture certainly made a difference and made the rice slightly easier to chew. 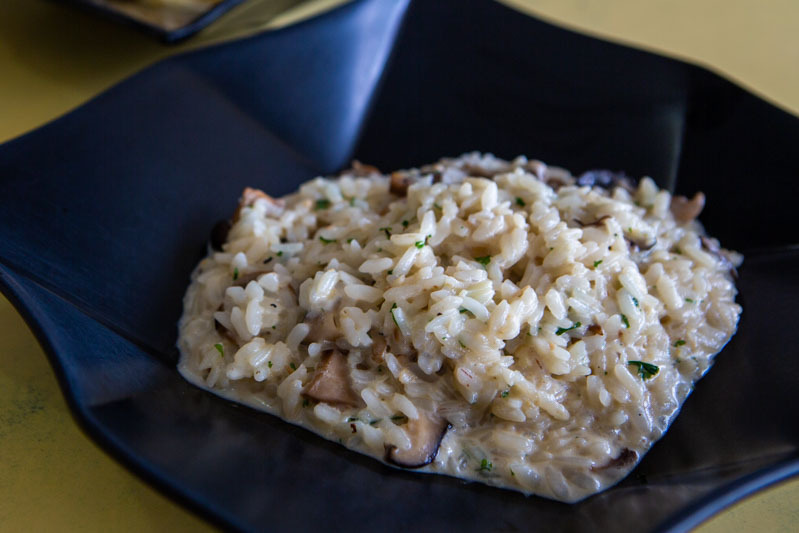 As they cook the risotto with chicken stock, we could taste a prominent savouriness. I must say that they seasoned the dish very well too. There was a subtle peppery flavour that lingered on after every mouthful. 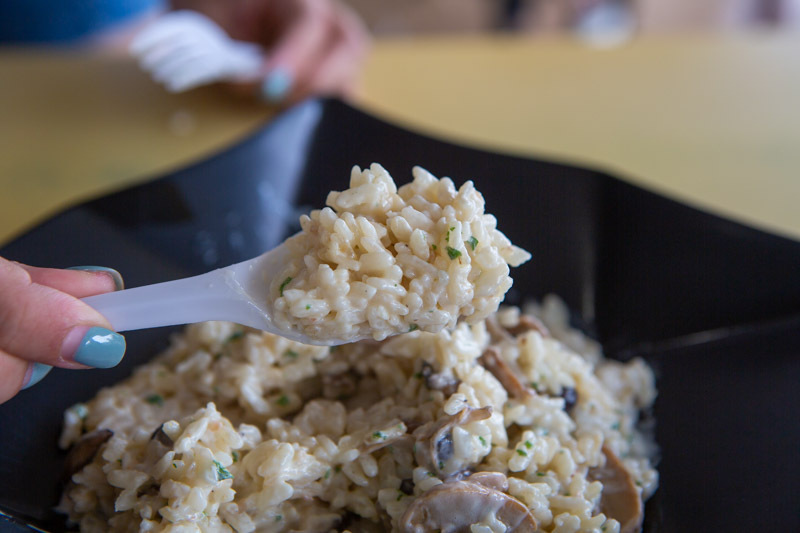 In the risotto, there was also an abundance of different types of mushrooms, so that every scoop came with some mushrooms. We felt that their softness actually contrasted the crunchy arborio rice surprisingly well. They were also very juicy and flavourful, soaking up the flavours of both the broth and cream. 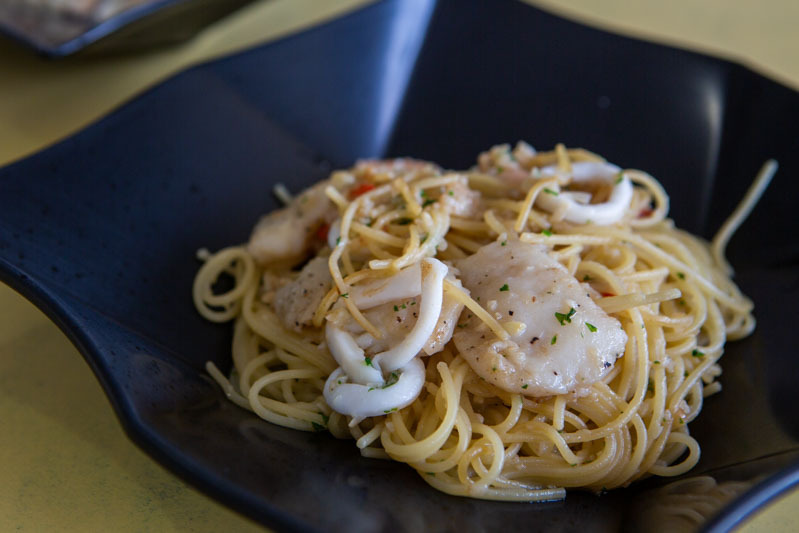 In addition to the risotto, we also got their Seafood Spaghetti Aglio Olio (S$6.50), hoping that it’ll turn out better. Fortunately, the pasta dish was way more palatable than the risotto. For one, the spaghetti had an al dente texture, neither overcooked nor undercooked. 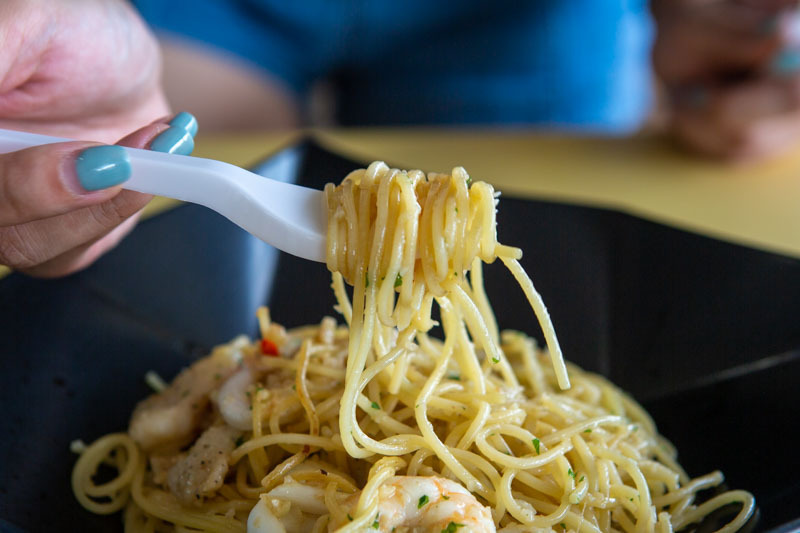 They also didn’t skimp on the chilli flakes that they toss the spaghetti with, because the dish packed a fiery punch that resulted in a numbing sensation. Seeing the variety of seafood in the dish also delighted us. 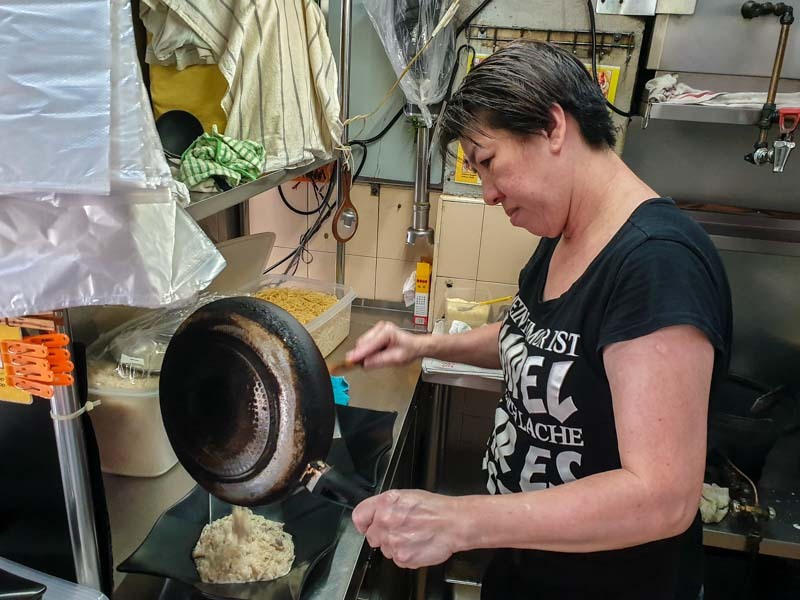 According to the owner, she obtains all her seafood items fresh, because she believes it’ll make a difference in the overall flavour of the dish. 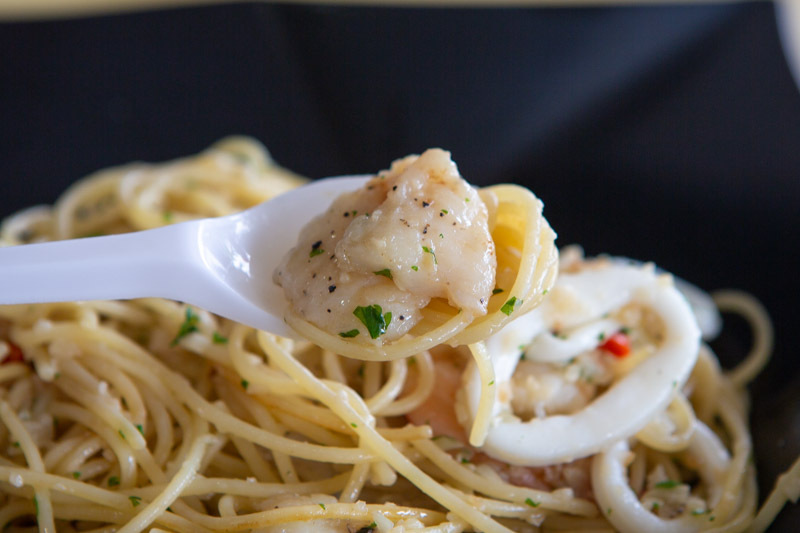 We were hoping that the prawns would be full of flavour since they’re cooked together with the spaghetti. However, the prawns tasted rather bland even though they were juicy. As for the squid rings, we felt they were quite small in size. Apparently, we were there on an unlucky day as there wasn’t a bountiful harvest in the market. That aside, they also didn’t manage to pick up much flavour while in the pan. To our delight, the fish slices turned out to be flavourful. Not only were they peppery and spicy, but they were also thick and juicy. It was a pity that the risotto didn’t live up to our expectations. Because of that, I have to say I’m not a big fan. 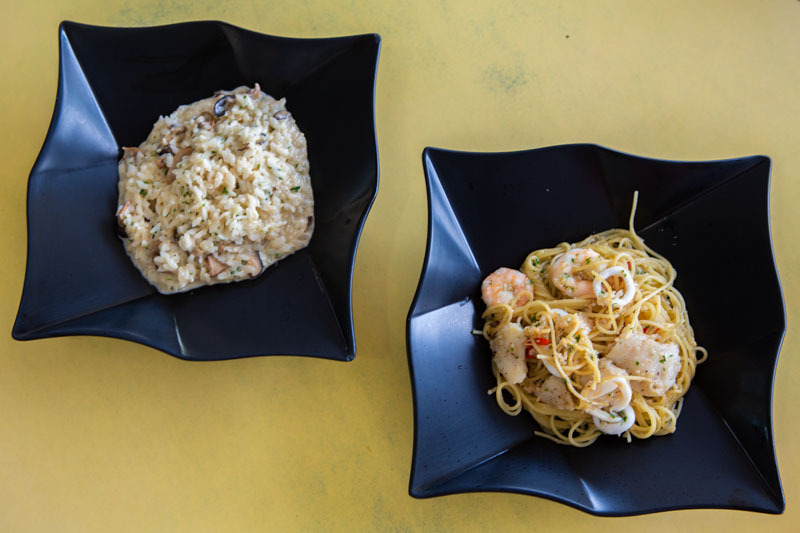 With so many other good eats in the hawker centre, Pasta Risotto has some tough competition. That said, however, it isn’t every day that one can find risotto in a hawker centre and at such affordable prices too. So if you’re craving for Italian food that’s affordable, Pasta Risotto is definitely a place you can go to. Their pasta dishes are decent, at the very least.